WA Professional Counselors Association - News! 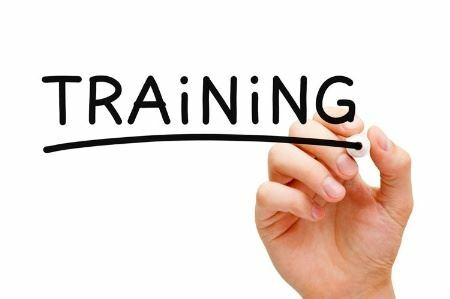 WAC 246-810-029(3) Acceptable continuing education courses for a certified counselor or certified adviser, the department of health is proposing rule language that will increase the amount of allowable distance learning programs from 12 hours to up to 20 hours per reporting period. The next Exam Prep Course will be Saturday, September 22, 2018. Sign-up on our website will be posted soon, at www.waproca.org/calendar. Law & Ethics-I & II, Global Assessment of Functioning (GAF), and others for the remainder of 2018 coming soon! WA STATE DEPT OF HEALTH: To better facilitate strategic thinking about improving health in Washington, the Department of Health has drafted a comprehensive assessment of health in our state, working with partners in local and tribal health, healthcare delivery, and the public health community. We view this document as a key resource for public health to function as a Chief Health Strategist—that is, to provide data and identify key health i...ssues, to convene leaders across multiple sectors, and to strategize with leaders on prevention efforts, policy development, and communication to promote the health of Washingtonians. Click below for more information, and to participate in the survey. Happy New Year! Best wishes and good health to you throughout the New Year! ARTICLE: "Don't Allow Compassion Fatigue to Force a Professional Crash & Burn"
A wonderful reminder, as we head into the busy holiday season, and take a look back at 2017.  ACA 2017 Conference & Expo - We Are Attending! The American Counseling Association (ACA) 2017 Conference & Expo is being held March 16-19 at the Moscone West Convention Center, in San Francisco, CA. Pre-conference Learning Institutes take place on March 15-16, to include 6-hour daytime and 3-hour evening educational events. The Learning Institutes include 25 introductory level and 11 advanced level intensive learning events; selected by peer review. Each event will be taught by well-qualified and highly rated instructors. Attendees can earn up to 17.5 CEs during core conference days by choosing from more than 400+ education sessions organized into 36 tracks. Earn up to 35.5 CEs by adding the Pre-conference Learning Institutes. I will be attending the full conference and expo this year, including the Pre-conference Learning Institutes. Yes, both 6-hour daytime and 3-hour evening events - each day. It's sure to be a very full week! Active WAPROCA Members will receive a post conference write-up, to include valuable tips and essential resources from the full 5-day/evening experience. CLICK HERE for more information on the ACA 2017 Conference & Expo. Bree Collaborative’s latest draft report. Bree Collaborative’s latest draft report and recommendations for Behavioral Health Integration is requesting feedback. The survey should take 5-10 minutes to complete. Comments must be received by 5pm on Friday, February 24th.